Gadolinium-ethoxybenzyl-diethylenetriamine pentaacetic acid (Gd-EOB-DTPA)-enhanced magnetic resonance imaging (MRI) tends to show higher diagnostic accuracy than other modalities. 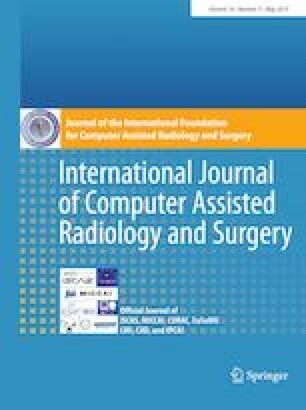 There is a demand for computer-assisted detection (CAD) software for Gd-EOB-DTPA-enhanced MRI. Segmentation with high accuracy is important for CAD software. We propose a liver segmentation method for Gd-EOB-DTPA-enhanced MRI that is based on a four-dimensional (4D) fully convolutional residual network (FC-ResNet). The aims of this study are to determine the best combination of an input image and output image in our proposed method and to compare our proposed method with the previous rule-based segmentation method. We prepared a five-phase image set and a hepatobiliary phase image set as the input image sets to determine the best input image set. We also prepared a labeled liver image and labeled liver and labeled body trunk images as the output image sets to determine the best output image set. In addition, we optimized the hyperparameters of our proposed model. We used 30 cases to train our model, 10 cases to determine the hyperparameters of our model, and 20 cases to evaluate our model. Our network with the five-phase image set and the output image set of labeled liver and labeled body trunk images showed the highest accuracy. Our proposed method showed higher accuracy than the previous rule-based segmentation method. The Dice coefficient of the liver region was 0.944 ± 0.018. Our proposed 4D FC-ResNet showed satisfactory performance for liver segmentation as preprocessing in CAD software. The authors declare no conflicts of interest with regard to the present study.